Harry Harischandra in Editor's Picks History on 20 November, 2017. If you’ve ever examined Churchill’s stern, wizened face on a five pound note, the image your mind probably conjures up is that of the cigar-chomping war hero, a man whose resolve and inspirational speeches helped bolster Britain’s shores against Nazi invasion. Maybe some snippets of the ‘fight them on the beaches, fight them on the land’ speech pop into your head, accompanied by black-and-white newsreels of World War II fighter pilots. Some of us might even vaguely remember our GCSE history, where we learned that he coined the phrase ‘Iron Curtain’. For the vast majority of people, that’s where Churchill’s legacy ends; it’s all we’re taught about in school, and the only frame of reference popular culture uses. When you examine the full extent of Churchill’s policies, and realise how much most school-level textbooks omit, it’s hard not to feel uncomfortable about the reverence he is treated with. Indeed, his legacy can certainly be compared to the way both slavery and the civil war are edited and sanitised in many history textbooks in the southern United States. Churchill’s instrumental role in the disastrous Gallipoli campaign, which stemmed from his desire to find ‘an alternative to chewing barbed wire in Flanders’, was a strategic blunder that resulted in over half a million casualties. And there is a growing concern that Gallipoli resonates less with the British public compared to Passchendaele or the Somme precisely because of Churchill’s status as an infallible national hero. Appointed as Secretary of State for War and Air in January 1919, Churchill reacted to unrest in Ireland with the deployment of the infamous Black and Tans. This was a temporary police force largely comprised of ex-soldiers, which soon cultivated a reputation for poor discipline, drunkenness and brutality towards the local population. To this day there has been remarkably little backlash against Churchill himself for the use of these paramilitary forces. Almost any other western 20th Century leader responsible for an organisation that interred people without trial and committed widespread atrocities would have been subjected to historical reappraisal. Many GCSE students are better acquainted with the death caused by the tragic failures of Lyndon Johnson’s policy in Vietnam than Churchill’s role in Ireland. Perhaps most seriously of all, a startling number of students are unaware of Churchill’s hand in the one of the worst famines in history (or indeed even the fact that it happened)- the Bengal Famine of 1943, which led to three million emaciated corpses in the streets of Bengal, North-East India. 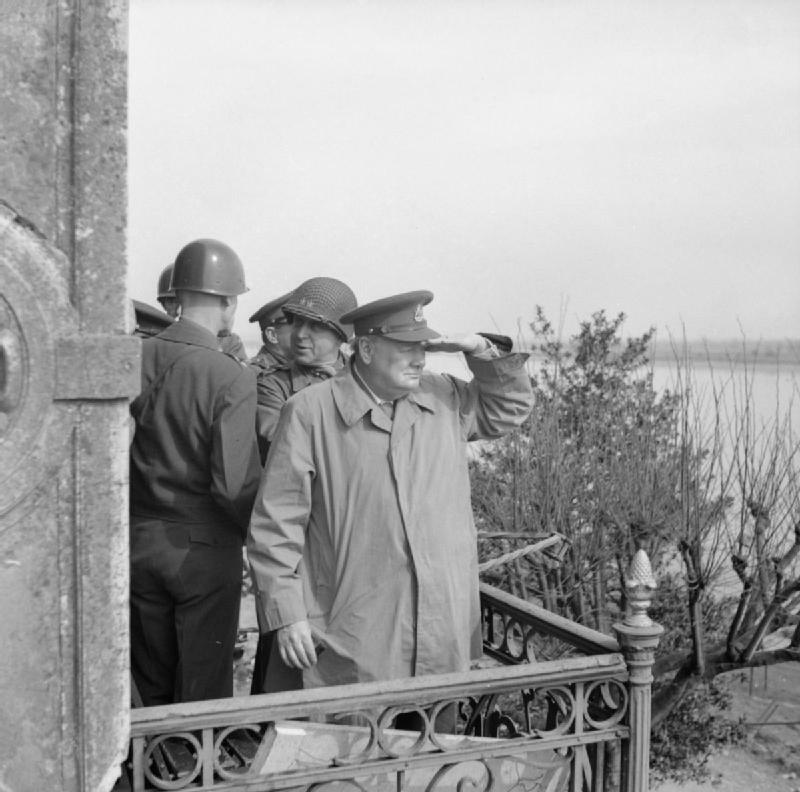 The full details can be found in the brilliant ‘Churchill’s Dark Side’ by Madhusree Mukherjee, but in summary, Viceroy Linlithgow warned that India’s supply of wheat was extremely low, exacerbated by the Japanese occupation of Burma, and requested 60,000 tons of wheat to feed soldiers and industrial workers. Churchill responded by saying that ships were not available, before moving merchant ships from the Indian Ocean to the Atlantic. Furthermore, despite rampant shortages, he maintained that India should continue to export rice, and in the midst of the famine diverted 17,000 tons of Australian wheat from India to Europe. As such, Churchill had direct involvement in a catastrophe that led to the deaths of millions. This sort of action should have lead to a vigorous debate about whether anyone responsible can be placed on any sort of pedestal, but is instead either ignored or glossed over in our schools, at best treated as some sort of historical footnote. Many of us ridicule the Trump administration and some Americans for their refusal to confront their brutality of their country’s past or their determination to venerate people who openly rebelled against their government to preserve slavery (the argument of ‘State’s Rights’ being a product of just this sort of revisionism). Yet Churchill’s face, visible on everything from statues to banknotes, mugs to period dramas, should remind us that perhaps it is time we did some historical introspection, and finally confronted the sanitation of our own history. The Durham Bouncer: Friend or Foe? Donations for the Notre Dame, where have the world’s richest been hiding?